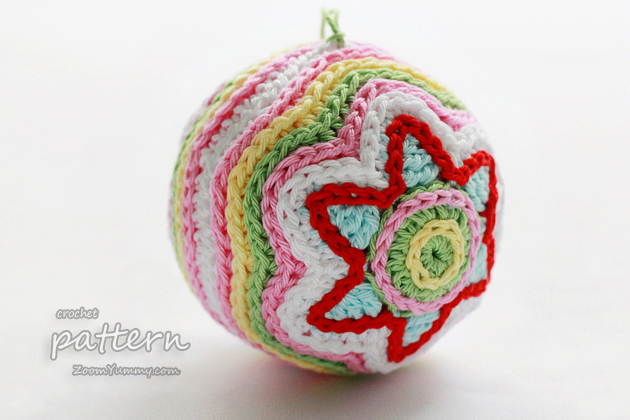 This is a crochet PDF PATTERN for a ‘Colorful Christmas Star Ball’. The cute and cheerful Christmas decorations that you can create with this pattern will measure about 3 inches (8 cm) in diameter. The pattern that you will receive is very detailed. It comes with a 24-page easy to follow written instructions and photo tutorial. The photo tutorial contains 61 helpful step-by-step pictures to make the project as easy to follow as possible.